Whether it’s a week or month away, clients will see your next available time slot, so they don’t have to spend time searching. Your private and group classes are now displayed in a cleaner layout, so clients can more easily navigate the services you offer. To see how it looks, just preview your site. Wix Bookings' new mobile calendar makes it more comfortable for clients to book appointments on the go. To see how it looks, just preview your mobile view. Set a minimum time before which customers need to make a booking to avoid last minute appointments. Read more here. Control your own schedule and give yourself a few hours or days between appointments. To set a time buffer, enter your private service, scroll down to the Service Details sections and click the Time Between Appointments drop-down menu. Request a deposit when clients book online, so they can reserve a spot and pay the rest in person. To add this feature, go to your private service, scroll down to the Price section and enter the deposit fee in the Accept Deposit field. Change the length of each time slot to suit your needs. Set durations from 5 to 60 minutes long. To add this feature, click the Business Info tab, scroll down to Advanced Settings and click the Calendar Settings drop-down menu to select a calendar slot interval. 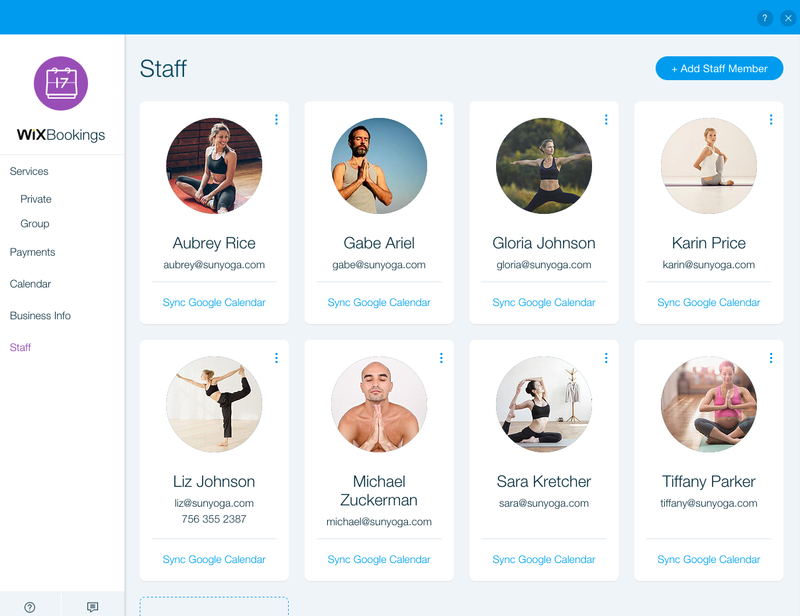 Let clients book and pay for multiple people to join a class at once. To add this feature, go to your Group Services, scroll down to Service Details and enter the number of participants that customers can register per session.